Abuja, 20 December 2018 – The Government of Nigeria with support from the World Health Organization (WHO), and partners launched this week a Yellow fever reactive vaccination campaign , funded by Gavi, the Vaccine Alliance. The campaign will be implemented in 13 Local Government Areas (LGAs) of Edo state where cases have been confirmed. The immunization drive is a response to the unprecedented yellow fever outbreak recently identified in the State. More than 1.4 million people age from 9 months to 44 years old are expected to be protected in this seven-day campaign, which will use part of the 3.1 million doses provided by the International Coordination Group (ICG) on Vaccine Provision, funded by Gavi, the Vaccine Alliance. Since September 2018, more than 95 suspected cases have been identified across 15 LGAs in Edo state, most of which have been reported in recent weeks. Thirteen of the 27 cases found positive at national laboratories died. A rapid response team under the leadership of National Primary Health Care Development Agency (NPHCDA) and Nigeria Centre for Disease Control (NCDC), composed of national and Edo state health authorities, WHO and partners, was deployed to investigate the cases, strengthen efforts to control virus circulation, and sensitize health workers and communities on prevention methods against yellow fever. While, vaccination is the best known measure for keeping people protected for life, there are other immediate protective measures people can take. Reducing exposure to mosquitoes, including the use of insect repellent to avoid bites both during the day and at night and removing potential breeding sites such as standing water containers are also effective. Yellow fever is a viral infection transmitted by infected mosquitos. Some species of mosquitos (Aedes sp.) are able to quickly disseminate the virus, especially in densely populated areas. The disease has re-emerged as a public health threat in recent decades, triggered by different factors such as climate change, increasing population movement and distribution of mosquito vectors. The response of the outbreak in Edo State is part of the global strategy to Eliminate Yellow Fever Epidemics (EYE) by 2026. With the support from WHO, UNICEF, Gavi, and more than 50 partners, Nigeria has developed a 10-year strategic elimination plan which will improve yellow fever diagnosis capacity, childhood immunization and overall population immunity in all states. Since September 2017, when the first yellow fever case was detected in Nigeria, the country has intensified efforts to protect its population. 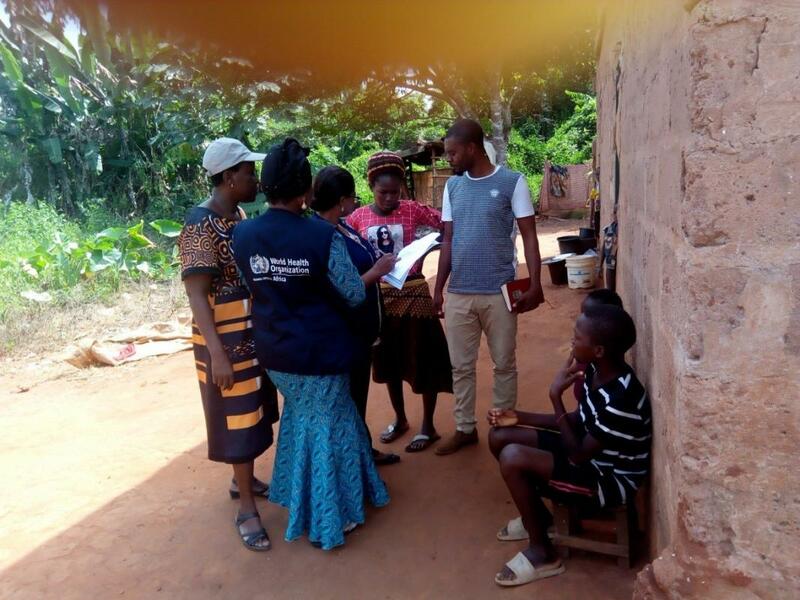 More than 32 million people have been vaccinated during outbreak responses and preventive mass campaigns aimed at establishing high population immunity. Nigeria is a priority country for the EYE Strategy and it is expected that more than 60 million people will be protected against yellow fever in the country by the end of 2021.